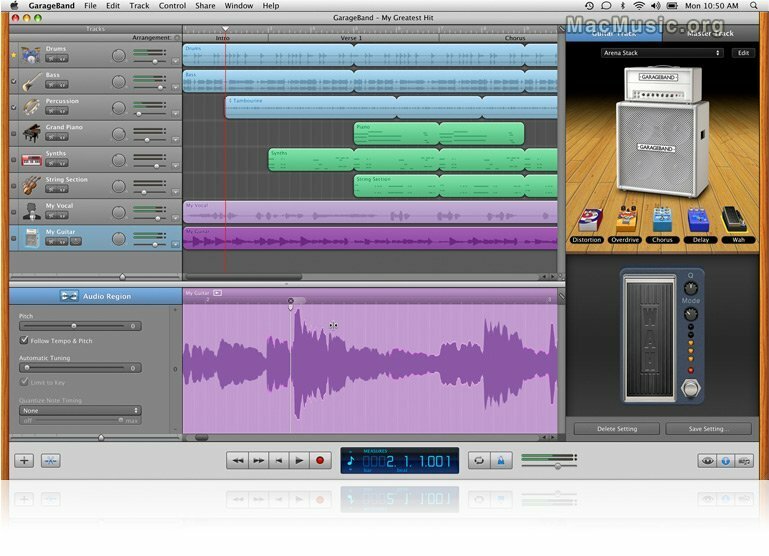 GarageBand '11 includes two new ways to fix or change the timing of your recordings. Flex Time lets you move, stretch or shorten individual notes by clicking on just the part of the audio waveform you want to change, without affecting the rest of the recording. With Groove Matching, you can select any track as the "Groove Track" and all other tracks will instantly match its rhythmic feel. GarageBand '11 adds seven authentic-sounding new guitar amps, five fun new stompbox effects, and 22 new Basic Lessons for piano and guitar.